FranCap Corporation, a franchise incubator/facilitator, with roots dating back to the 1960’s, initially operated as (and was the nation’s FIRST) full-service franchise consultancy whose early recognizable clients included, Century 21, Dunkin Donuts, and Uniglobe Travel, among many others. It was FranCap’s Founder that authored "The Franchise Bible", and FranCap’s legal staff, under the direction of Harold Brown, Boston, MA, that was instrumental in establishing the nation’s first franchise laws (“The Law”) (California 1971 / FTC 1979). Currently, it is Cartel Equity’s attorney-of- record, Leon Greenspan, White Plains, NY, who administers to The Law on behalf of FranCap. The FranCap Executive Summary identifies and addresses (in depth) the specifics of the FranCap Business Model; its unique services to the Franchisor Community as a Funding and Franchisee Expansion Source, and alternatively; a developmental source to the Federal Government’s EB5 Program for the benefit of funding existing and well-qualified Franchisors. 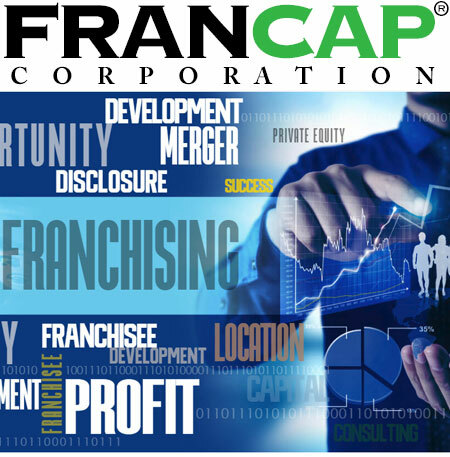 FranCap’s mission addresses FranCap becoming an Equity Partner (“Partner”) with established franchisors via funding the franchisee process; promoting and establishing franchise expansion, and; operating the ongoing marketing process of the franchised operations. 2. The Exit Strategy (IPO, Merger or Acquisition) of FranCap’s myriad Franchisor Partners and FranCap itself. …That Provides Consumers A FREE MOBLE, DIRECTORY, AND INTERNET SEARCH APP To access A Desired And Highly Qualified Local, Selected, Business Type! • NOW- A Mobile App Consumer can connect with a local “walk-In” business who Guarantees Top Quality @ Lowest Prices; Discounts; Coupons; or otherwise; Expedient Pick-Up or Delivery. • NOW- An Internet or Directory Search Consumer has the ability to optimize searches in every Major Search Engine and Directory to resolve a full half page, live advertisement for the specific business type the consumer is searching for. A Business near or far who guarantees product and service; Lowest Prices; Discounts; Coupons, and…immediate access to on-going steals and deals. • NOW- FranCap Corporation and Rabbit Marketing Corporation, Netword’s Commercial Media, Marketing and Franchise Partners, (The “Team”), has the ability to coordinate and materialize the positive consequences and resultant solutions of social media and content marketing for The Team’s franchise business clients seeking leadership in their markets. • Using social platforms to drive local commerce, The Team has a turn- key commerce solution that will allow local business to do what they do best while The Team handles the “conversation” of marketing to new and loyal customers. • In a nutshell, it’s the Netword Technology, et al, The Team, that works with businesses and professionals to become the voice of their company online via website pages, blogs, e-newsletters, articles, social media postings, web development, SMO, SEO and much, much more! 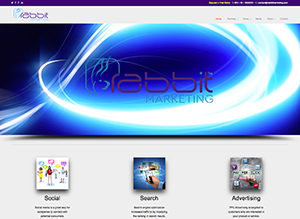 Rabbit Marketing Services, LLC is a full service marketing firm that provides its client base the full range of marketing and governance services from “yesterday’s” brick and mortar media and print advertising and general brand awareness services, to “today’s” more sophisticated online social marketing strategies from Search Engine Optimization (SEO) and Social Media Optimization (SMO) services to structuring, administering and monitoring clients’ Facebook, Twitter, Instagram and industry-specific accounts as well as Internet, Mobile and Directory targeted search advertising. In addition to Rabbit Marketing representing its general clientele, it has contracted with Cartel Equity Fund, LLC to exclusively represent Cartel Equity and its acquisitions including FranCap Corporation. As such, Rabbit Marketing has become the exclusive marketing agency to the myriad Franchisee population under the FranCap umbrella. Rabbit Marketing will penetrate the franchise development market to build brand awareness, and drive traffic to franchisee local operations via utilizing The Netword Technology, a patented web, mobile and directory search technology app that targets a specific geographic audience, down to the zip code level thereby maximizing advertising dollar result potentials. We believe that no competitor in the franchise industry has this diversity or potential for results.